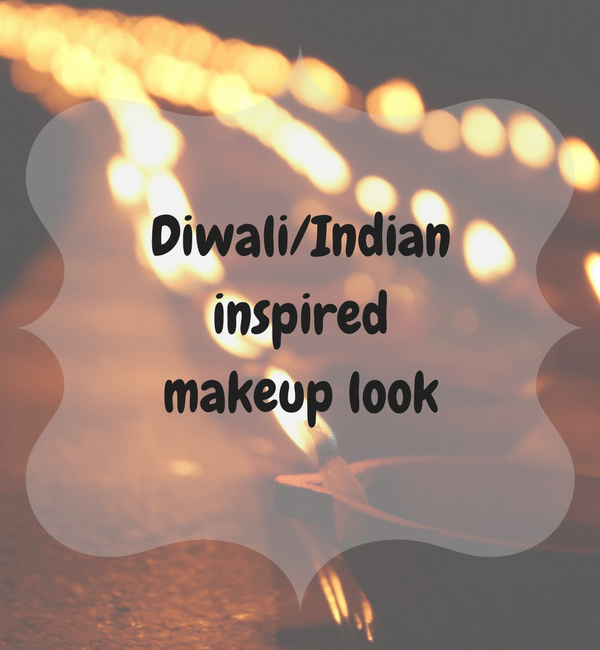 LOTD: Diwali Indian inspired makeup look! I’ve wanted to do an Indian-inspired look for a long time now. Growing up in Trinidad & Tobago, I was accustomed celebrating customs and religious beliefs of the different ethnic groups. Trinis would not bat an eyelid at attending Eid events or going over by your neighbor to parang dey house for Christmas. We have accepted and celebrated each others cultures and food, becoming a very multi-ethnic society. I bought the November 2010 Vogue India issue with Priyanka Chopra on the cover and fell in love with this look! As a matter of fact, I fell in love with the entire Sari issue. Such vivid colours and opulence!!! Something that I don’t usually see reading US magazines. I occasionally will buy an international magazine for a different kind of inspiration. In this issue, for the traditional Hindu ceremony, the bride wore a stunning ruby red and gold sari paired with smokey red and black eye makeup with deep red lips!! This look will also be great for a Divali celebration, lighting deyas and eating your favourite mithai. Since the eyes and the lips are bold, there was minimal cheek colour, just some light contouring and highlighting. M.A.C. Pigment in Sweet Sienna (a dusty, silvery taupe with shimmer) – mixed with M.A.C. water-based Mixing Medium and applied to the entire eyelid to the crease. The mixing medium foils the pigment making it apply with an intense metallic finish. Used an all-over blending brush from Sephora. M.A.C. Greasepaint Stick (GPS) in Black – line the upper lashline and wing out towards the end of the eye brow. Also line the entire lower lashline until it joins the upper line. M.A.C. Eye Shadow in Carbon – applied over the eye pencil and smudge the liner. Also deepen the outer third of the eyelid. Also apply this to the entire lower eyelid to create a smudged-out look. BECCA Luminous Skin Colour Tinted Moisturizer in Mink – Applied to dry areas of face, cheeks, forehead, chin with fingers (this is discontinued but use whatever foundation works for your skintone and skin type. Illamasqua Intense Lipgloss in Succubus – Apply over lipstick to add extra shine! I added a jewelled tikka, but you could adorn as you wish. You could also add false lashes for extra drama! Make Up For Ever does HD…Not Retouched!!! gorg! u did a great job recreating the look! !